Not quite, but things sure have cooled off over the past two days. Temps were in the nineties on Saturday and Sunday and then out of nowhere, a front moved through dropping Sunday night's temp by 60 degrees! I slept with my windows open and woke up thinking I was camping. Cooler nighttime temps and a cloudy day yesterday really brought the water temp down from an alarming 73 degrees to a refreshing 59. Great news for a heat-stressed fish population. 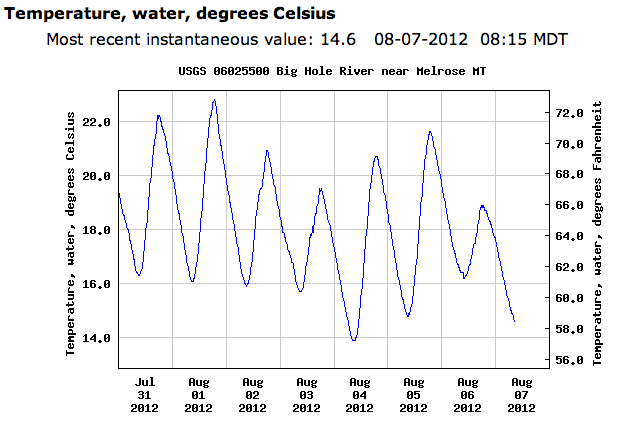 The river is holding tough at 300 cfs, and hopefully 5 day forecast for afternoon showers does in fact bring moisture. Temps should stay below the 90 degree mark this week and nights should drop into the 40's. Add in a little rain and we are in fine shape! As for the fishing? It has been really good the past two days on tricos, hoppers, and caddis. On my way out to the river, will report with photos tonight! 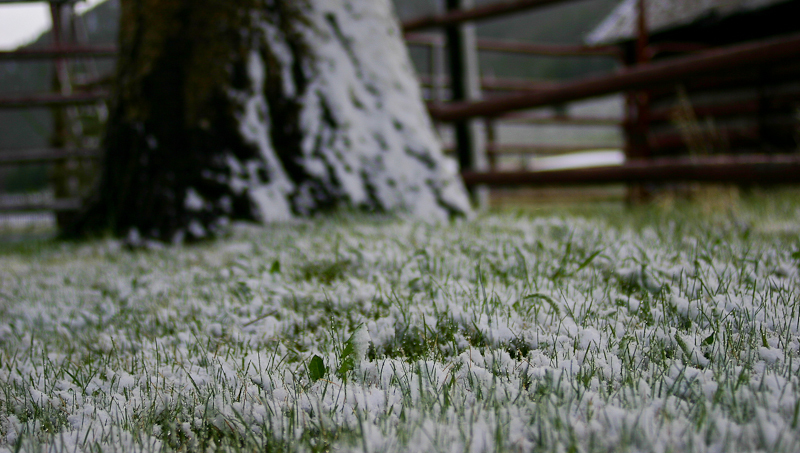 The rain poured last night after 2 a.m., turning to heavy snow by this morning. The trees above 7,ooo feet were coated in white, but the big flakes in my yard lasted only a few minutes. The old timers say, "when the snow on that thar face comes down, high water is here." Well the snow on that thar face (pictured below) is far from gone. In fact, just last week a two foot deep wet-slide avalanche cut it's way down the central slope and didn't reach the rock bed below. 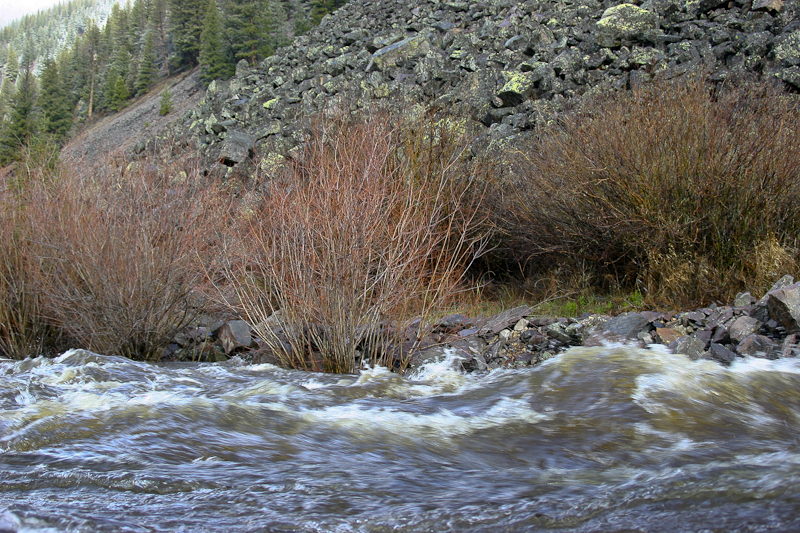 There is a lot of snow left in the high country and this runoff could be furious over the next couple of weeks. 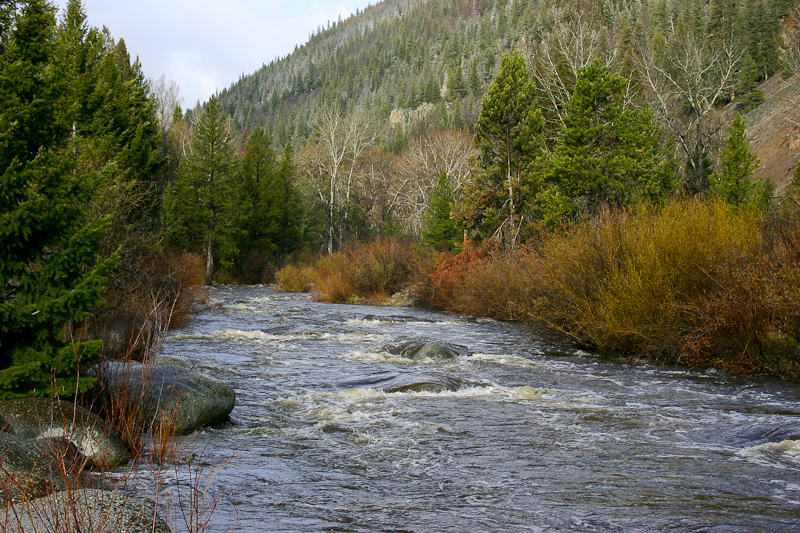 The Wise River in the below pictured section is marked by giant boulders, up to four feet above the river surface. Today they are all but under water. 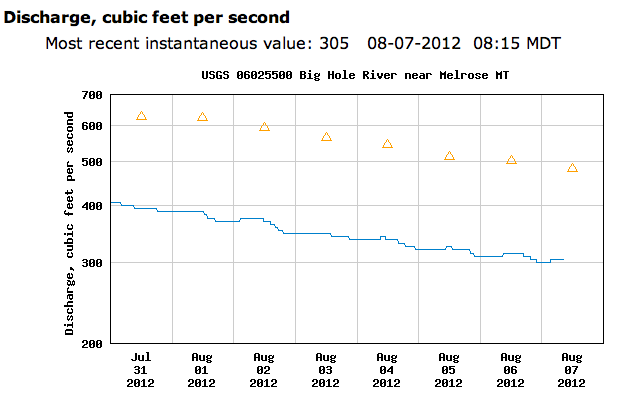 The Big Hole hasn't spiked from last night's storm yet, but this wave of mountain water is on its way down the valley. 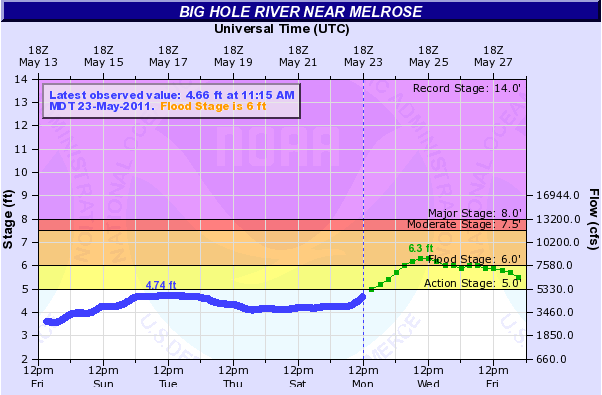 Flood warnings are in effect today and tomorrow around the state and the Big Hole at Melrose has reached it's flood stage today. 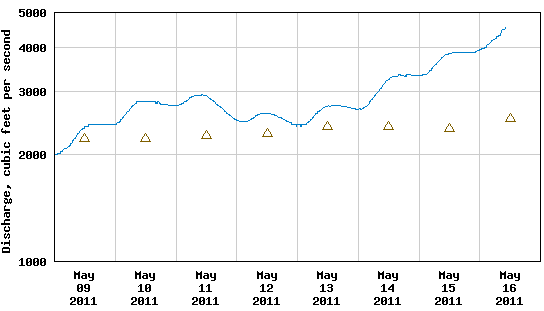 However, the cold weather forecast for the weekend means that the runoff will again be halted. 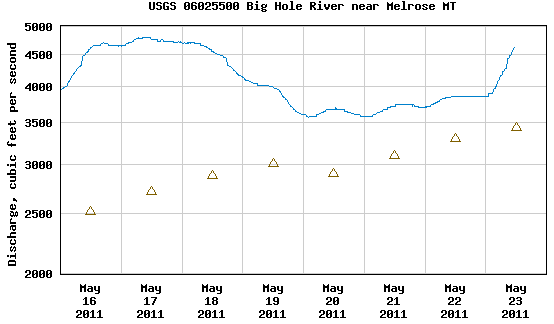 The Big Hole will most likely drop and clear by the weekend and streamer fishing could be very good like it was a week ago. 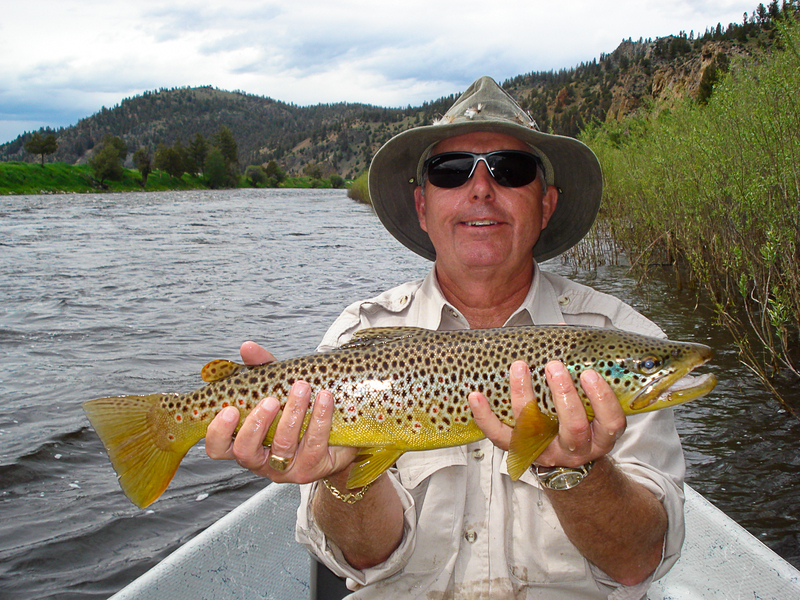 The Big Hole fished well this weekend with dry fly action on Friday and streamer fishing through the weekend. 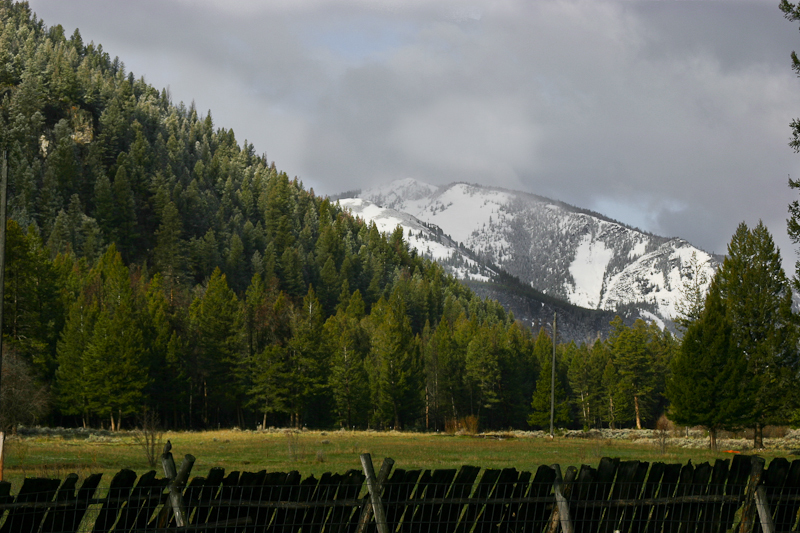 The weather was typical for spring in Montana with cold temps and frequent showers. 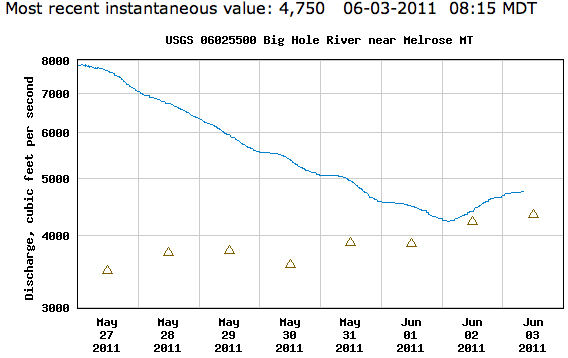 It rained hard last night on the Wise River and I assume it did in the Big Hole Valley as well because the river jumped up overnight. 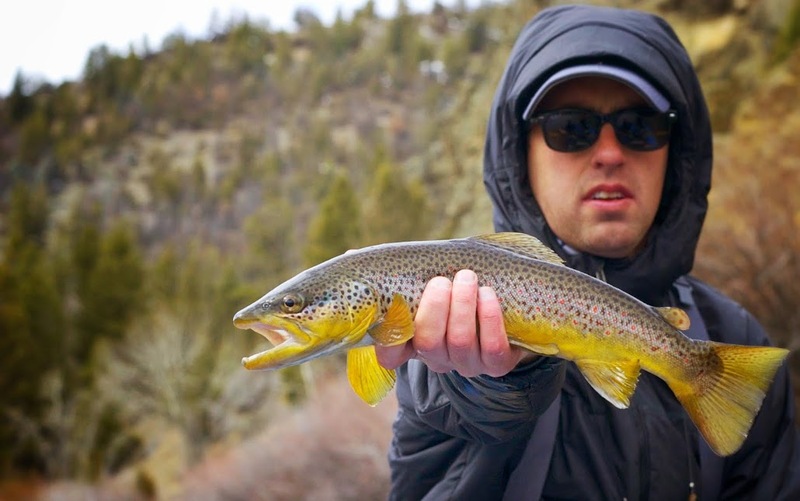 The rain throughout the week will continue to bring the water up, but the cool temperatures ought to keep the snow in the mountains and streamer fishing should be good. The national weather service is issuing a flood watch for the Melrose area, and predicts that the river will rise by 2,000 cfs over the next few days. Be careful getting in and out of the boat, and if you do find places to wade, tighten that wading belt! !